There still seems to be some concern about the security risks of smart devices. Nearly 50 per cent of people in the UK doubt the safety of installing a smart meter into their home. There still seems to be some concern about the security risks of smart devices. Nearly 50 per cent of people in the UK doubt the safety of installing a smart meter into their home. This is despite the ongoing government roll-out. The Government wants every home to have a smart meter by 2020. With only two years to go, however, it is currently proving difficult. This is why it is our industry responsibility to encourage more homes to make the change. So far, only around 11 million smart meters have been installed. This isn’t nearly enough if we want to reach the target of 53 million by 2020. However, there are a few obstacles to be dealt with before this target can be met. 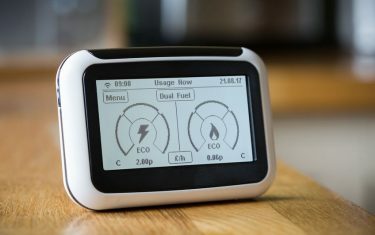 According to research by Igloo Energy, only 1 in 3 of UK bill payers is using smart meters in their home. The remaining 2 out of 3 don’t wish to embrace this new technology. Approximately 4 per cent of those who took part in the research claimed to have never heard of a smart meter. A quarter of respondents said to be doubtful that smart meters can actually lower their energy bills. 47 per cent said that they were concerned about the cybersecurity risks of having a smart meter in their home. There are now more than 6 billion smart devices in the world and are known as the Internet of Things (IoT). According to research by Kaspersky Labs, many devices come with weak security settings. This can make them easy targets for hackers. It is understandable why many people in the UK doubt the security of installing a smart meter. Aside from general home insecurity, unprotected smart devices can be used for widespread destruction. In 2016, cybercriminals broke their way into these smart devices in the Mirai botnet saga. This major hacking took down the world’s biggest web servers. Websites such as Netflix and Twitter were affected. 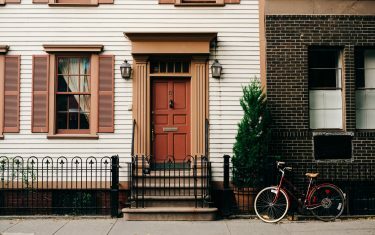 However, what homeowners fail to understand is that these devices usually don’t connect to the internet. Though the initial prototypes used mobile phone networks, current models use their own secure network. These networks are designed specifically for the smart meter’s purpose. What’s more, this system is designed by experts from the government’s security team at GCHQ. This is something we must explain to homeowners and give them peace of mind. According to Martin Jordan, chairmen of the Network Exploitation and Defence Forum (NED Forum), “Unlike your home computer, tablet or smartphone, smart meters are not connected to the Internet. Instead, they communicate over a closed secure private network. This removes the threat posed by hackers and scam artist who actively try and steal your data on a daily basis. So, can we Prove that Smart Meters are worth Having? When discussing the research by Igloo Energy, CEO Matt Clemow said, “This research shows there is still a lot of doubt around the benefits of smart meters and smart home technology, despite them offering long-term savings compared to consistently switching providers. We know that smart meters are great for households and for saving money. For example, look at start-ups such as Labrador. They can analyse the energy usage of someone’s home using a smart meter. From there, they can assess this usage to help the individual switch to a cheaper energy provider. According to Labrador’s founder, Jane Lucy, the aim of the service is to save customers a minimum of £80. This is part of the company’s plan to help repair the broken energy market. ECTA is here to give you all the necessary training for your new career as a smart meter installer. We work with multiple smart meter installation companies across the UK. We will place you with a great company who is actively recruiting in your area. Once you have the know-how, you be one of many will many industry experts encouraging more UK citizens to embrace home smart meters! Get in touch to find out more.